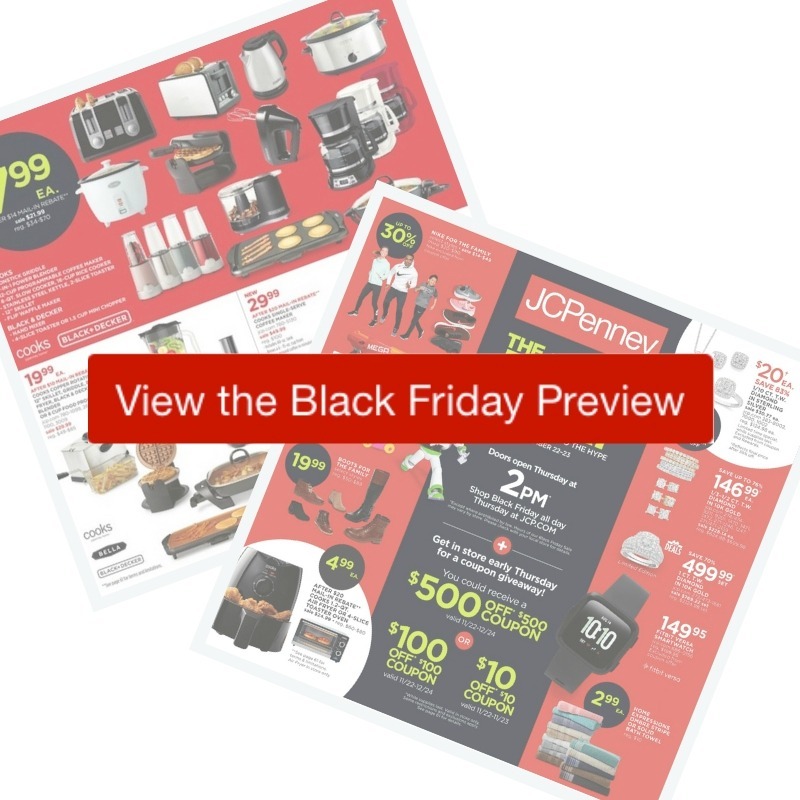 Here are all the deals in the 2018 JC Penney Black Friday ad. Doors open Thursday at 2pm, but you can start grabbing deals online all day on Thursday. Get to the store early for a big coupon giveaway in limited numbers. Samsung 4.2 cu. ft. Front load Washer or 7.5 cu. ft. Electric Dryer, $595 ea.